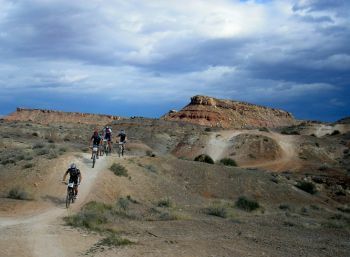 WASHINGTON COUNTY — A mountain biker on a trail near St. George was flown to the hospital after severely fracturing his leg in a bike crash Saturday. A drone being flown in the area temporarily prevented the responding medical helicopter’s arrival. 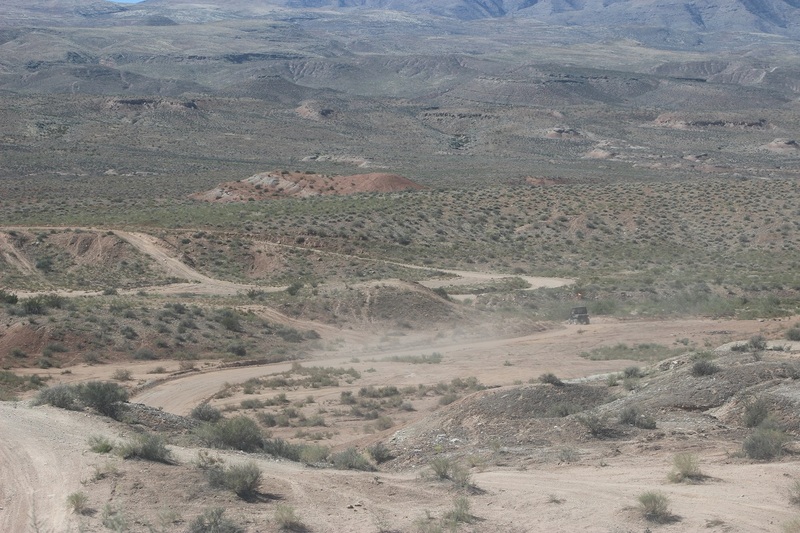 Shortly before 2 p.m., emergency personnel were dispatched on report of a man who crashed while mountain biking in the Bear Claw Poppy Reserve on the Green Valley Loop Trail. The rider, a 22-year-old man, was riding with another man who called 911 immediately after the crash and guided responders to the location, St. George Fire Battalion Chief Robert Hooper said. The rider was located off of the bike trails in an area that was inaccessible to the responding fire truck, so firefighters and EMTs made their way to the injured man on foot. The rider was found to have fractured his leg. “We couldn’t even get our UTV anywhere close to where the men were located, and it even took a while on the phone with the other rider to actually identify where they were even located,” Hooper said. Responders on scene, including Gold Cross paramedics, determined the rider’s inability to move coupled with the amount of hiking required to get him out necessitated a call to Intermountain Life Flight. A helicopter was launched and headed their way to assist. “Due to the nature of the man’s injuries and the fact that the GPS coordinates fell within a range where assistance could be requested, we called on Life Flight to come out and help with the transport,” Hooper said. Meanwhile, responders became aware that a BMX rider in the area was flying a drone and called off Life Flight temporarily until they could speak to the man, explaining that the drone was preventing the helicopter from flying into the area or landing. Once they were able to reach the drone operator and explain the situation, he immediately landed the drone to make way for Life Flight in the staging area. The injured rider was then loaded onto the helicopter and transported to Dixie Regional Medical Center for evaluation and treatment. Located approximately 6 miles west of St. George, the Green Valley Loop is several miles long and begins at Canyon View Drive in Green Valley and ends at Navajo Drive in the Bloomington area of St. George; it is part of the Bear Claw Poppy Reserve. I agree, utahdiablo. On the other hand, how was the drone operator to know anything was going on, out in the middle of nowhere, so to speak. It’s not like he was flying the thing over St George airport or a similar venue. It sounds as though the whole event evolved just as it should have.